Within the industry, many content distributors have switched from purchasing end-to-end systems to buying best-of-breed technologies, and creating unique tech stack mash-ups that work best given the restraints of their teams, time and budgets. Even if you look to some of the top revenue generators in the streaming media industry (Facebook, Amazon, Netflix, Google) who have endless resources to build everything in-house, they still use a fair amount of outside technologies. However, what these companies have done differently is developed great “glue” for how all the pieces, built in-house or not, work together. Based on that idea, I am excited to announce that last year I made a personal investment in a new company called Datazoom. While I was the first investor in Datazoom, the company has now raised $700,000 in total, led by Brooklyn Bridge Ventures. The premise of Datazoom is very simple. With a single SDK, Datazoom allows video distributors to collect any data they want from the video player and send it to any supported tool, in under one second. Datazoom allows content owners to make on-the-fly changes to the data they are collecting and the frequency at which they collect it. And with a set of pre-built SDKs that can capture data from an ecosystem of players, devices and platforms (iOS, Android, Brightcove, JW Player, Anvato, THEOPlayer, and others), customers can make changes to their data collection footprint or integrate new tools at any time, without touching a line of code. The tools integrated into the Datazoom ecosystem (which they call Connectors) include Video Analytics, Data Warehouses and other Data Process and Visualization. Their Connector ecosystem today includes: Google Analytics, Amazon Redshift, NPAW’s YOUBORA, Datadog, Amplitude, Heap Analytics, Adobe, Keen and Google’s BigQuery. Pricing for using Datazoom’s platform is done on a SaaS model, a monthly license and usage based fee. By not pricing based on the number of video views or sessions, customers will have a much more predictable cost and flexibility. 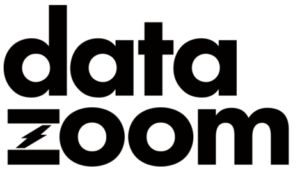 Datazoom’s platform is currently hosted on AWS and Google Cloud, with Azure POPs coming soon. So, what does Datazoom really solve? Today’s methods of integration often involve using hard-coded and static logic, which restricts against any ability to make adhoc refinement and adjustment to maximize potential. Think about it: A single video stream often requires the workflow across 20-30 different systems, each of which have ever-changing availabilities, latencies and service reliabilities. Essentially the experience behind every video stream is ultimately dictated by a dynamic operating environment, created by the current status combination of these services, and yet how they are programmed to work together is static. The greatest current technology opportunity in the streaming media industry will be solutions that work to maximize the efficiency of existing systems by building a unifying intelligence layer to manage the workflow of systems we use to deliver video. Likely this must be left not to the work of dedicated individuals, but with intelligent systems powered by AI and ML that have the endless capacity needed to handle the frequency, scale and volume of adjustments on a per-stream basis; technology glue. However, before any type of intelligence can be implemented, a few foundational things need to be established first. At the core of Datazoom’s approach is creating three things in the market; a standardized data “currency” that’s accepted by all systems; a point of exchange that all systems peer into to source data; and a real-time speed at which the data currency needs to move. I made an investment in Datazoom because I believe that their offering helps to address many of the issues that face our industry today by providing a data ingest and management platform that allows customers to provide a more consistent end-user experience through service optimization. After launching at NAB, Datazoom has customers in trial, some of whom I will be able to talk about in detail later this year. If you’d like more info on Datazoom, feel free to reach out to me at any time. Note: While I am always looking at new companies in the space, to date, this is the only private company I have invested in.